Contents: Foreword. Preface to the Second Edition. Introduction. The Measurement of Transformational Leadership. Commitment, Loyalty, and Satisfaction of Followers of Transformational Leaders. Transformational Leadership and Performance. Stress and Transformational Leadership. Contingencies of Transformational Leadership. Transformational Organizational Cultures. Transformational Leadership of Men and Women. Implications of Transformational Leadership for Organizational Policies. The Development of Transformational Leadership. Predictors and Correlates of Transformational Leadership. Rank, Status, and Transformational Leadership. Empowerment and Transformational Leadership. Substitutes for Transformational Leadership and Teams as Substitutes. Transformational Leadership: Future Challenges and Applications. "...the book clearly outlines the kinds of programmatic steps that are used in trying to develop leaders to be more transformational, including techniques such as 360-degree feedback, personal development plans, working on vision plans and articulation of visions, etc." —The Member Connector - International Leadership Assoc. 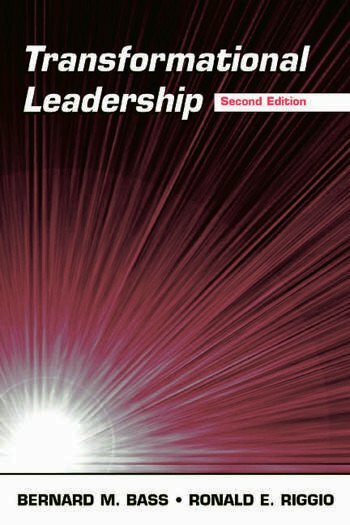 "A new or revised book by on the world's most eminent researchers on leadership is usually the cause for celebration, and this work by Bernard Bass (writing with Ronald E. Riggio) is no exception....this is a must-read book for researchers and advanced students in leadership in general and transformational leadership in particular....a valuable contribution for any serious student on this topic." "Bernie Bass' legacy is an international tidal wave of researchers and scholars exploring transformational leadership. The study of leadership has many mothers but it was Bernie Bass who became its driving force. We are delighted to have this new edition of Transformational Leadership and to find the markedly thoughtful influence of leadership scholar and social psychologist Ron Riggio. It brings in substantial new findings, consolidates and conceptualizes previous work, and brings the work of leadership to life with real leaders in real-life situations."